Dublin's newest hotel - Clayton Hotel Charlemont - is set to open its doors on the banks of the Grand Canal this November. Dalata Hotel Group said the new hotel was built though the combination of 18th-Century Georgian buildings, 35, 36 and 37 Charlemont Street and a newly designed 4-storey hotel building. 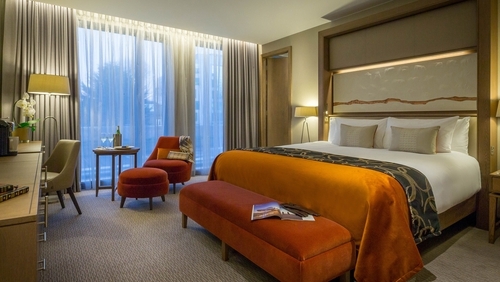 The new hotel features 189 bedrooms, a fitness suite, six fully equipped meeting rooms, two dining outlets, and a carpark with space for 20 cars. The hotel, which is owned and operated by Dalata Hotel Group, took about two years and a €40m investment to complete. It has created 100 new jobs.